To help you succeed faster, we are seeking digital solutions, services and products that will help you succeed faster. This will be my second time attending this (excellent) two-day conference and exhibition. 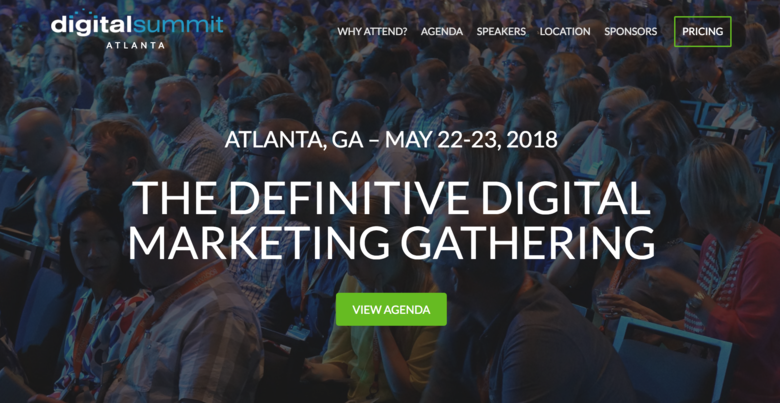 WGAN-TV live coverage from Digital Summit Atlanta Tuesday (22 May 2018) and Wednesday. I have previously attended this conference. It's excellent. I could imagine many useful digital marketing tips, info, etc. If you would like to receive an automatic notification that WGAN-TV is live, please subscribe to our YouTube Channel and turn on the "bell" for notifications.